Toptal is pleased to sponsor RubyC, the major European conference devoted to Ruby, Rails, and other related technologies. Every year, hundreds of Ruby enthusiasts and developers from various programming groups gather to exchange knowledge, discuss the latest news, learn from one another, and generally have a wonderful time together. This year’s edition takes place June 2-3, 10:30am to 6:00pm at Premier Hotel Rus in Kiev. 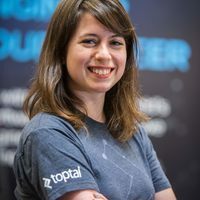 This conference is an excellent opportunity to get to know some of Toptal’s core team members — like Asia Lindsay, Europe Community Lead, and Iva Touzimska, Technical Recruiter. For more information and to get your tickets, please see the event website.